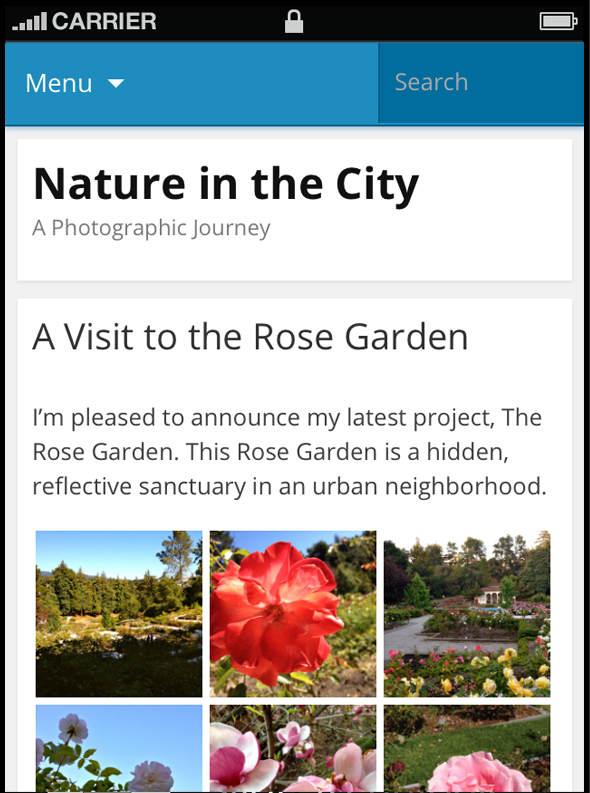 In this guide you will learn how to use the mobile theme that’s included in Jetpack, enable excerpts or full posts on the home page and archive pages, and show a promo for the WordPress mobile apps in the footer of the mobile theme. You’ll also learn how to create custom menus, headers, and backgrounds for your mobile theme and what you can do with sidebars and widgets. Jetpack’s Mobile Theme offers a way to make your site mobile-friendly if your current theme is not responsive or hasn’t been updated in a while. Our Mobile Theme displays your content in a clean, uncluttered interface, making it easy for mobile visitors to scan your site. Furthermore, we took special care to make the mobile theme as lightweight as possible to ensure faster loading times. To use the Mobile Theme, go to Jetpack -> Settings -> Writing tab and scroll down to the Theme Enhancements and the “Enable the Jetpack Mobile theme” option and turn that on. How do I see the Mobile Theme in action on my site? The Mobile theme will only display on a mobile operating system, so to see it in action, you’ll need to visit your site from a smartphone. 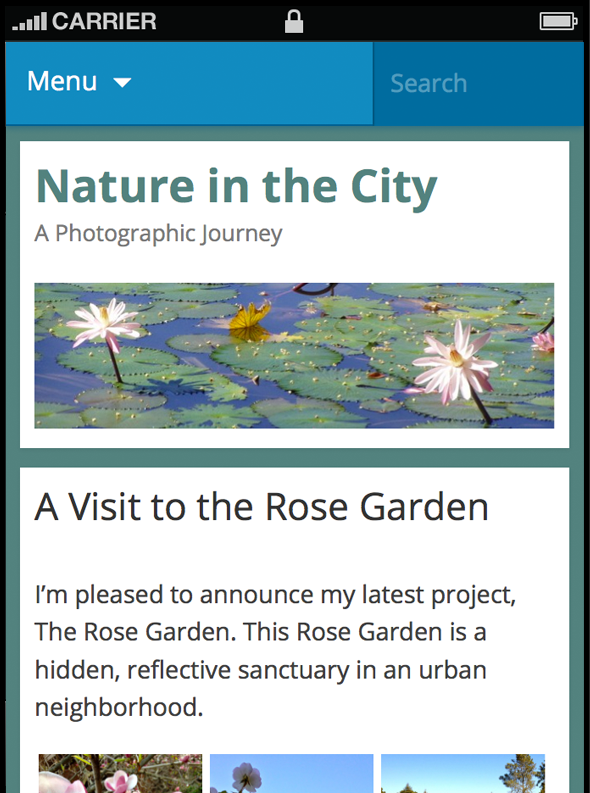 Display either excerpts or the full post content on the home page and archive pages. Display or hide featured images. 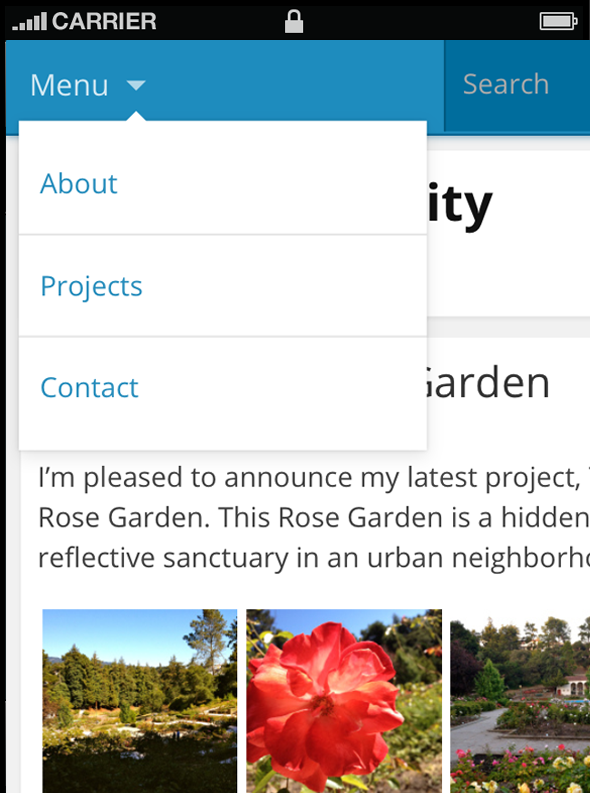 Show a promo for the WordPress mobile apps in the footer of the mobile theme. Visit Jetpack -> Settings -> Writing tab and scroll down to the Theme Enhancements section in your Dashboard. Find the “Enable the Jetpack Mobile theme” option and toggle it on. Toggle your desired options, then click Save Settings. The Mobile Theme searches through the custom menu locations for your current desktop theme and displays the menu assigned to the primary position. If you have no custom menus assigned, it will default to the standard page menu. If you’d like to use a specific menu, and not the one assigned to the primary position, you can use the `jetpack_mobile_theme_menu` to force the Jetpack mobile theme to use a menu that you specify. To do so, you’ll need to install a functionality plugin first. The number 75 is the menu ID. You’ll notice that the Mobile Theme uses a one-column layout. This ensures that your content has as much room as possible on smaller screens. Widgets appear below the content, just before the footer. Currently, the Mobile Theme displays one sidebar below the main content area, just above the footer. In order for widgets to appear, this sidebar must have a sidebar id of “sidebar-1”. If you are unfamiliar with sidebar ids, you can read more about it on the WordPress.org Codex. Please note: If you have multiple sidebars, only one sidebar can have a sidebar id of “sidebar-1”. In this case, you would first decide which sidebar you want to appear on the Mobile Theme, and then change the id of that sidebar to “sidebar-1”. Viewers have the option to switch to the desktop version of your site by tapping the “View Full Site” link at the bottom of each page. IF you’d like to exclude a category from the mobile theme, or remove Jetpack’s Sharing Buttons, then have a look at our tips and tricks! This feature is deactivated by default. If you ever need to deactivate this feature, you can toggle the Enable the Jetpack Mobile theme setting in the Theme enhancements section from Jetpack — Settings — Writing in your dashboard. A visitor’s preference on viewing the mobile version of a site. A cookie (akm_mobile) is stored for 3.5 days to remember whether or not a visitor of the site wishes to view the mobile version. See more information about this cookie here.Additionally, we track when, and by which user, the feature is activated and deactivated. A cookie (akm_mobile) is stored for 3.5 days to remember whether or not a visitor of the site wishes to view the mobile version. See more information about this cookie here.